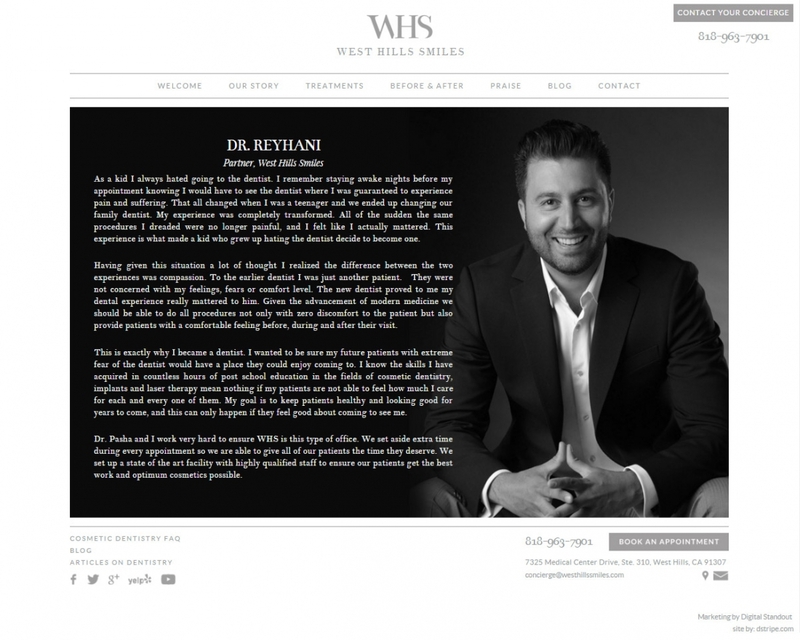 Pasha came to me knowing that I didn’t specialize in dentist websites and that is exactly why he hired me. 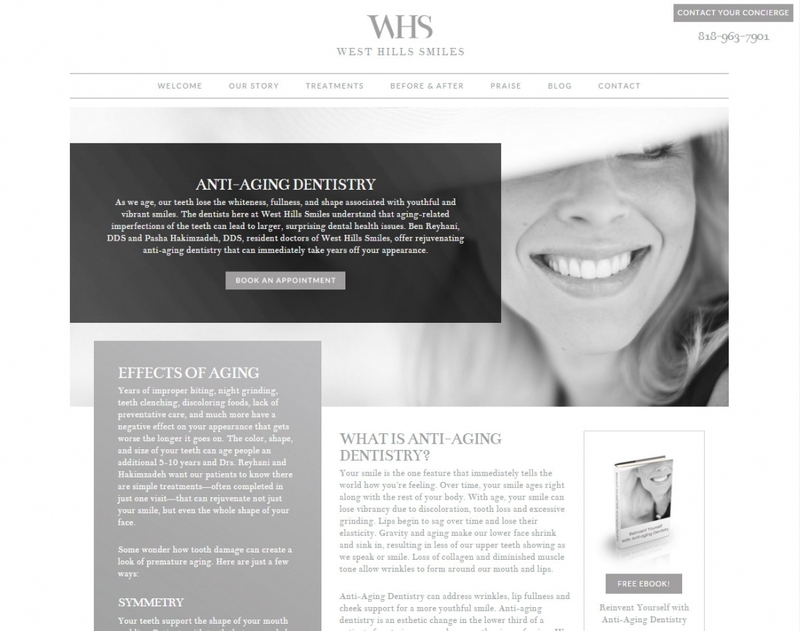 Working in LA, he wanted a site that reflected the concierge quality of their work. 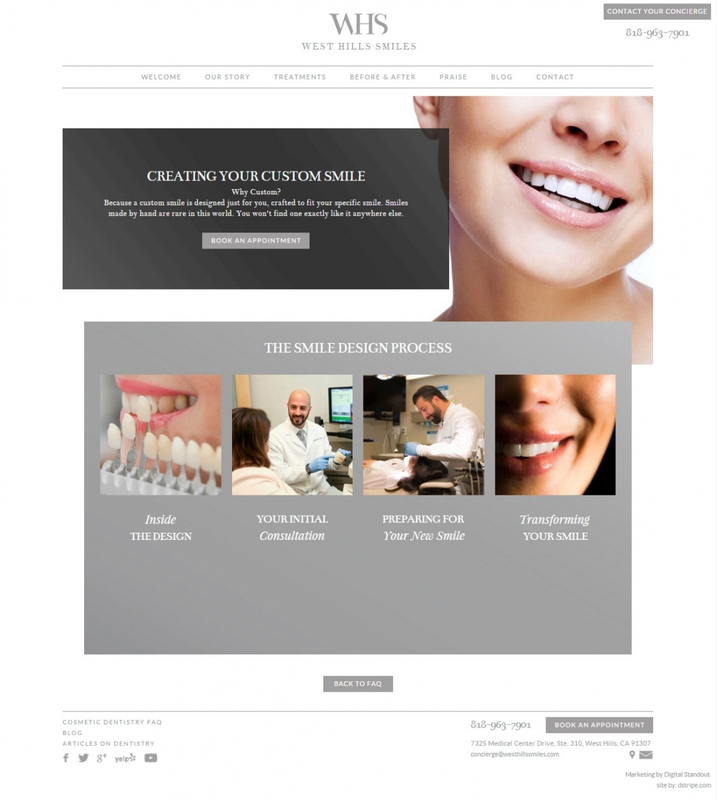 Their focus is on cosmetic dentistry – designing a perfect smile – so he wanted his site to represent that same attention to detail and design. The Our Story page on this responsive website features artisan black & white photography communicating not only style but professionalism. 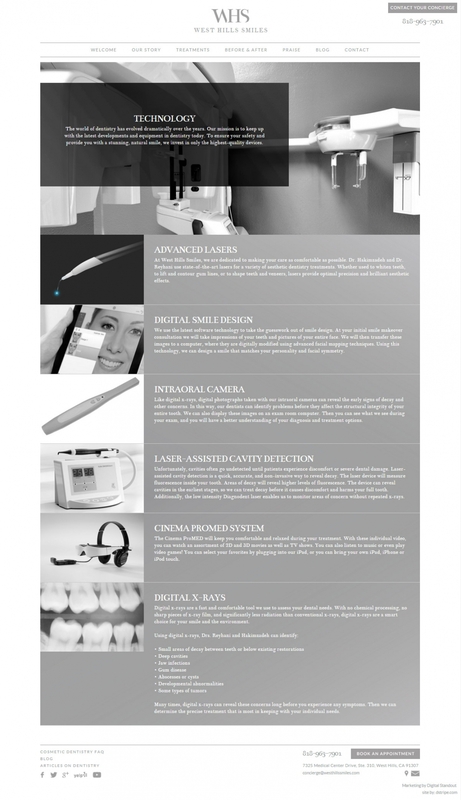 Their technology page boasts state-of-the-art equipment and techniques. 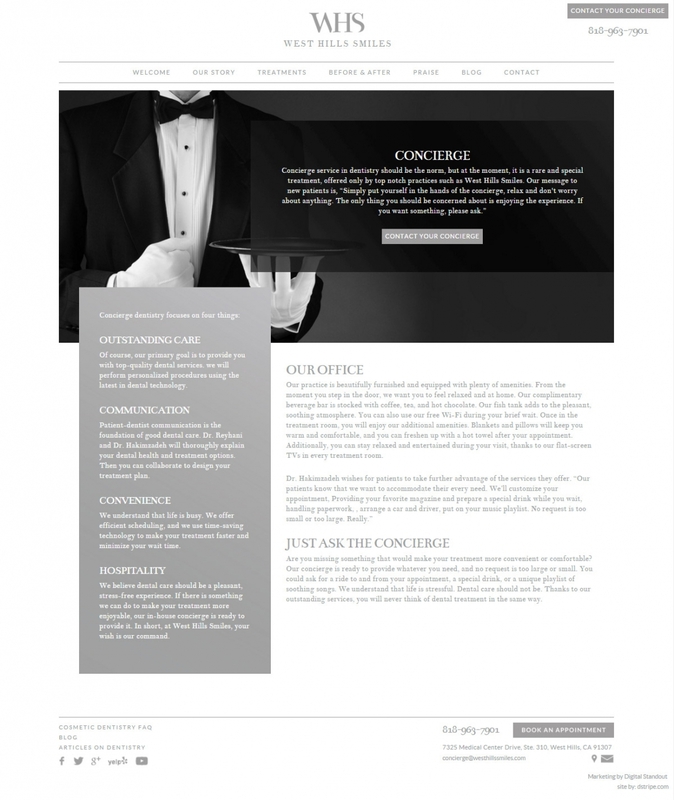 Links to contact “your concierge” are peppered throughout the site. 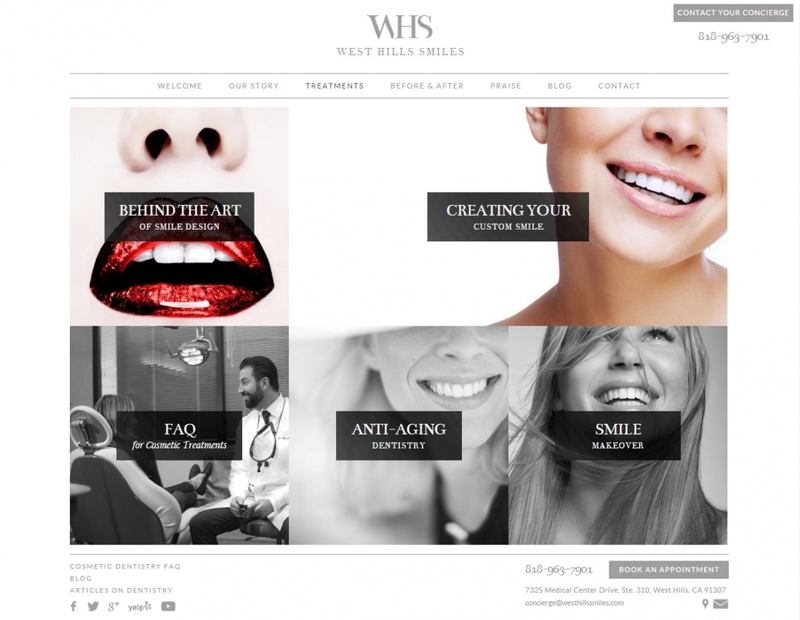 West Hills Smiles’ focus is as much on their client’s experience as it is on their patient’s treatment. 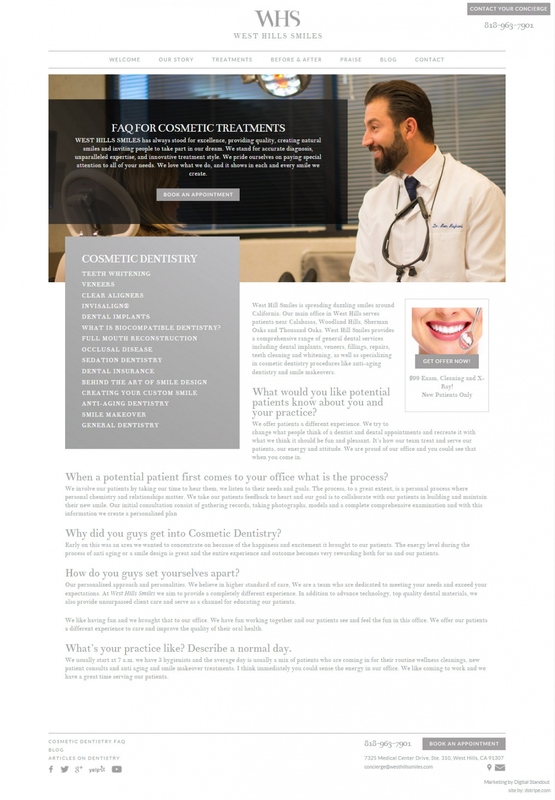 Even though there is a ton of content, the Treatments page is inviting and easy to digest with five simple and attractive links. 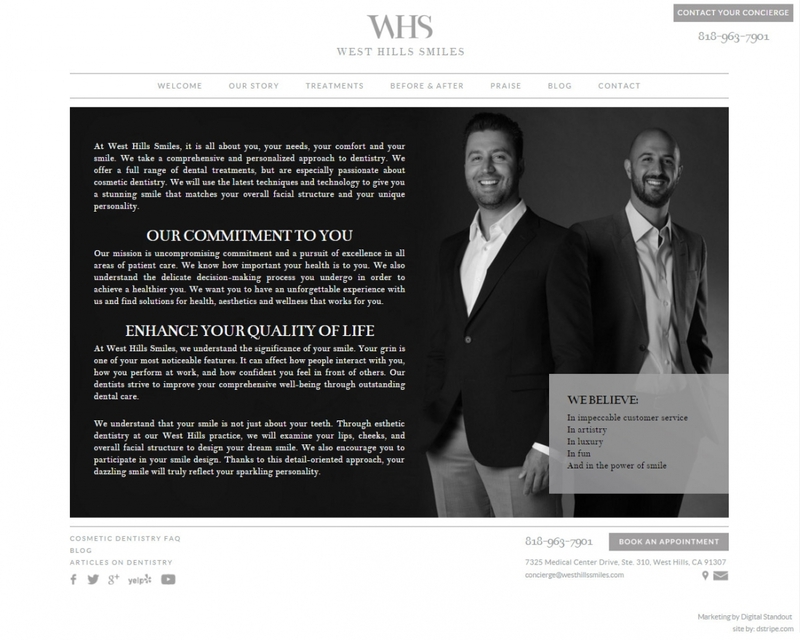 Smile design is an art, and the team at West Hills has perfected it. Inner pages have an asymmetrical layout, just to add visual interest to the breadth of knowledge they are sharing. West Hills has a 5.0 rating on Google and an impressive amount of positive praise. Pasha wanted to include these on the site, sounds easy, but it wasn’t! Digging through Google’s Map API was challenging, they don’t make it easy to retrieve review data. 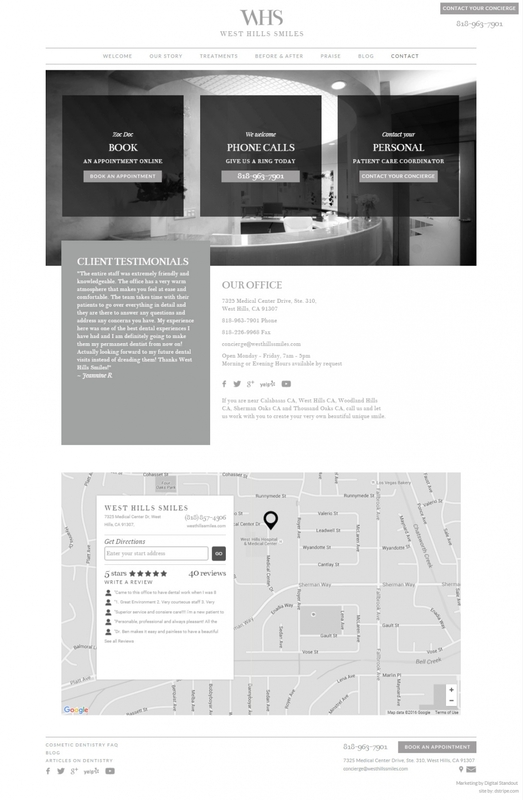 It was all worth it though, the contact page has a bespoke black & white map complete with West Hill’s 5 star rating and reviews pulled directly from Google.